During the last couple of years a number of brominated flame retardants, also used in plastics, have received attention due their less than beneficial environmental properties. Some of these have been listed for restrictions in the Stockholm Convention on Persistent Organic Pollutants (POPs). 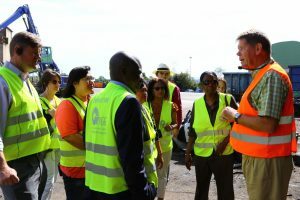 United Nations Industrial Development Organization, UNIDO, is one of the main UN agencies assisting countries with action prompted by the Stockholm Convention. 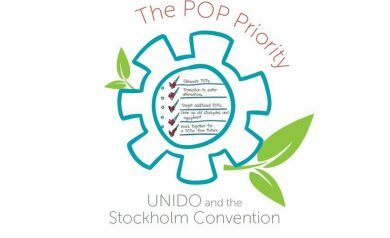 UNIDO particularly focusses on implementing policies on POPs in developing countries as well as demonstrating best practices at industries for their control. Earlier this year Müller-Guttenbrunn participated at a UNIDO workshop about POP brominated flame retardant substances and to discuss how these can most effectively be phased out. 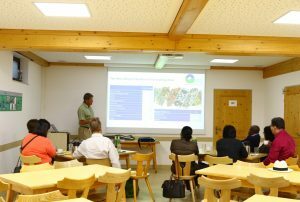 During the workshop, that took place in Vienna, we discussed the way in which the Müller-Guttenbrunn Group deals with plastics containing these POP substances in Austria. 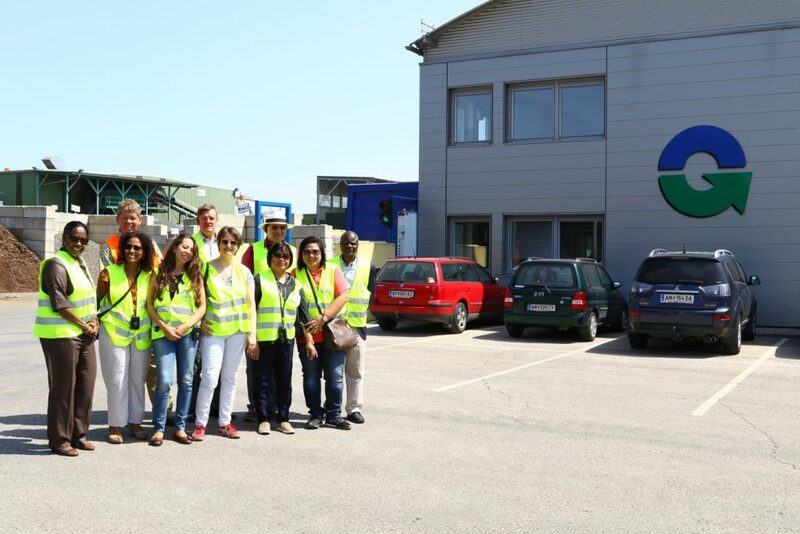 The participants of the UNIDO workshop were invited to visit the Müller-Guttenbrunn recycling operations in Austria, processing Electronic Waste (WEEE). This visit took place on a wonderful sunny August day. After a presentation of the recycling processes, the group took a detailed look into the recycling processes of E-Waste in the Müller-Guttenbrunn Group. The process starts with the de-pollution step with the Smasher – in which hazardous components such batteries, capacitors and toner cartridges as well as valuable components such as spools and printed circuit boards, and disturbing fractions such as wood – are separated out.The second step in the process is the shredding of the remaining E-Waste, after which close to 40 % of the ferrous material is separated. The remaining shredder-residues are transported to Metran and we observed the numerous separation steps to recover the non-ferrous metals. Particular focus was on the separation of the plastics fraction also contains the POP flame retardants. These plastics are delivered to MBA Polymers where the UNIDO Stockholm Convention Division was shown in how the plastics are recycled into REACH and RoHS compliant Post-Consumer Recycled PCR plastics. The non-target plastics fraction – also containing the POP flame retardants – are delivered to appropriate incineration plants in which these plastics and the embedded POP flame retardants are destroyed at the very end of the recycling process. The entire WEEE recycling process results in the recycling of 75 % into secondary raw materials and the thermal recovery of some 20 % of the input. The technical tour was completed with a Q&A session, in which we discussed some of the challenges for the recycling industry in Europe. Apart from the many problems related to the transboundary shipment of wastes in Europe, these also include the ever increasing flow of new substances that are being restricted. 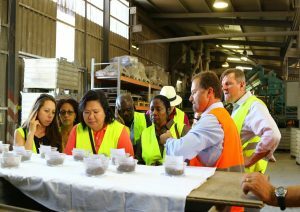 We were absolutely delighted with this visit of the UNIDO delegation, as we were able to showcase and present what is possible in terms the efficiency of recycling processes with regards to legacy substances such as these POP flame retardants. It was agreed that we would need to make sure that this kind of exchanges will be continued.